Rare earth elements are always in demand as they were the most important raw materials in various industries such as green house technology, defense products and consumer electronic products. Initially they were sourced from the placer deposits in India and Brazil in early 1940’s, but South Africa dominated in the production in 1950’s. However, from 1960’s , U. S take over the regime and the major supply started coming from the Mountain Pass mine in California. This continued till 1980’s and then China entered in the market with 95% of the world’s total rare earth coming from Mongolia. China is not only the major supplier, but also became the major consumer of rare earths going ahead of Japan and South Korea. China’s monopoly in the production and its role as the major consumer increased the rates and after 1980’s price of some rare earth elements have gone up twenty folders high. Alarming increase in the prices sent warning alarms and the exploitation for rare earths has started world over. As a result fresh source of rare earths have been found at different places such as Canada, Green Lands, Malaysia etc. It has been found at some places in Australia too. Although it was not sufficient to meet the requirements of the world other than China, it became a reason to bring down the prices considerably. This gave a fresh breath to the industries where rare earths are most important raw materials. 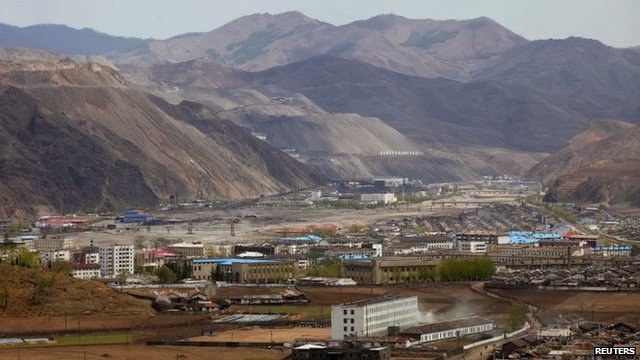 As good news to the industry, a private firm that has been hired by the North Korean authorities has announced the finding of world’s largest rare earth source. SRE, the private firm which discovered this source has already signed a contract of 25 years to explore the resources with the Korea Natural Resources Trading Council. The joint venture company, Pacific Century Rare Earth Mineral Limited has also given permission for a processing plant at the site. 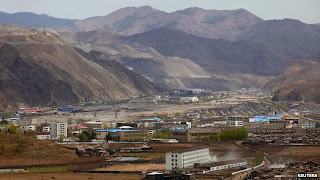 The site Jongui is located about 150 kilometers northwest of the national capital Pyongyang. Experts are of the opinion that this new development will help to bring down the prices further and this will help the different industries, especially consumer electronics a lot. Approximately, 216 million tons of rare earth deposits are believed to be here in this region which is the largest in the world.